Hey @IllustriousVar, have the Talks and Podcast feeds been updated recently? I don't see anything. I realized that as well. The latest episodes are TTV Talks about Age of Ultron and Triggle Warning: The Nazi Ant Regime. Nah, they've admittedly fallen behind while we've been busy preparing things for Vessel and MakutaFest. They'll be updated soon (Monday). @IllustriousVar, I understand that you guys have been very busy lately. However, do you plan on having the TTV Talks iTunes feed updated soon? @IllustriousVar, TTV 149 and Talks about Pixar aren't up in the feed. Could you guys maybe add them after Makutafest when things get less hectic? Odd, its up for me. Is there something going on? Because I can't find TTV Talks, even though I'm sure y'all said it was available. 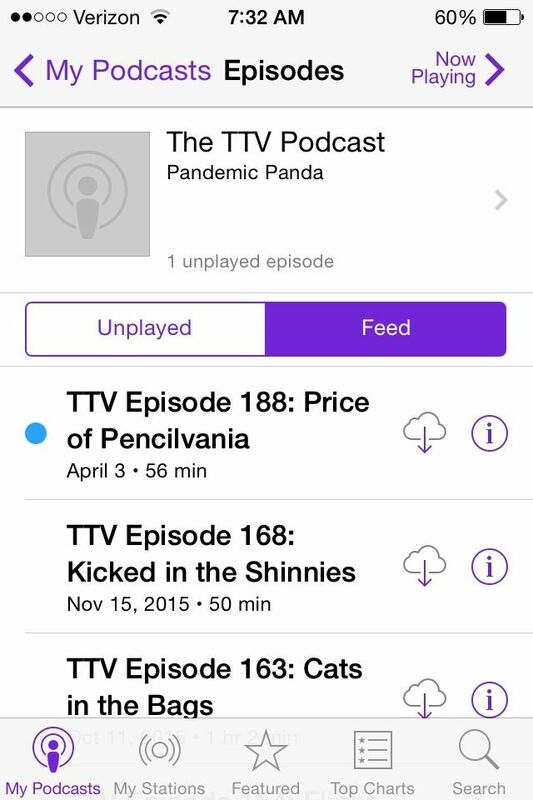 I'm also unable to download any episodes of the TTV podcast, though that might be a problem on my end. They have up to episode 192 actually, they're just not on the top of the feed for some reason. But yeah, the updates for iTunes is not regular unfortunately. I really wish they would update them more often it's been helpful on several occasions. I agree. Same with Brickfeed/TTV Talks. Hey @Mesonak, would it be possible for whoever's in charge of the TTV Podcast/TTV Talks iTunes feeds to update them sometime soon? 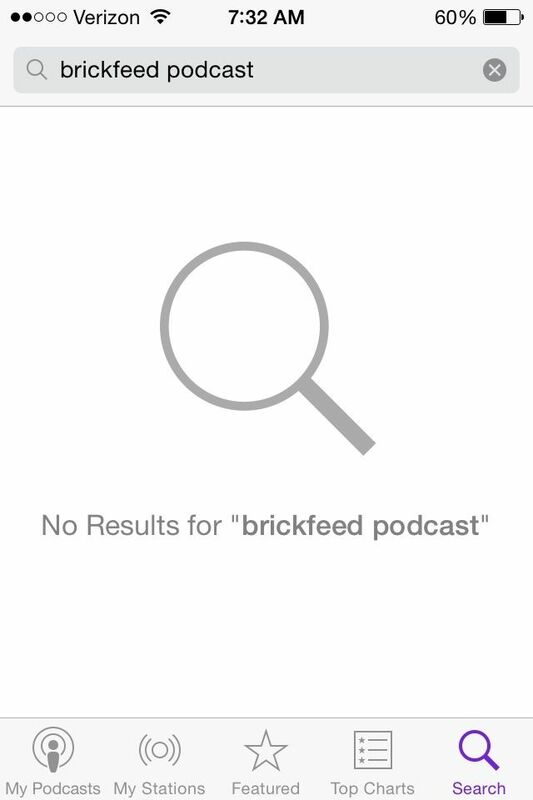 Also, how about creating a Brickfeed feed? I believe TTV talks was taken off for some reason. Yeah, it was. I don't see it either. Any chance of an update and/or Brickfeed? Whoever did that thank you so much, I'm just about to go on a trip and this couldn't have come at a better time. Indeed! I love having the podcast on iTunes, because then I can efficiently use the hour I spend driving.